Chop suey (often spelled also as one word - Chopsuey) is a reflection of the Chinese influence on Filipino food. 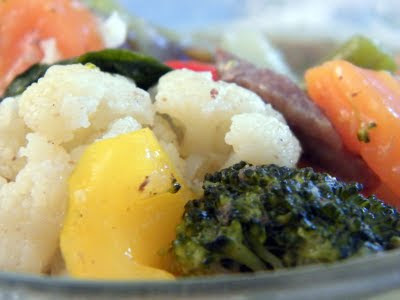 This dish calls for veggies which our country has an abundance of (at least where I come from: Baguio). I especially love having baby corn in chop suey. For our recipe, baby corn is not readily available, however, but feel free to add some. It makes the dish look fun and special. Aside from the baby corn, I usually grab all the cauliflower and broccoli that I can find. They're my favourites. 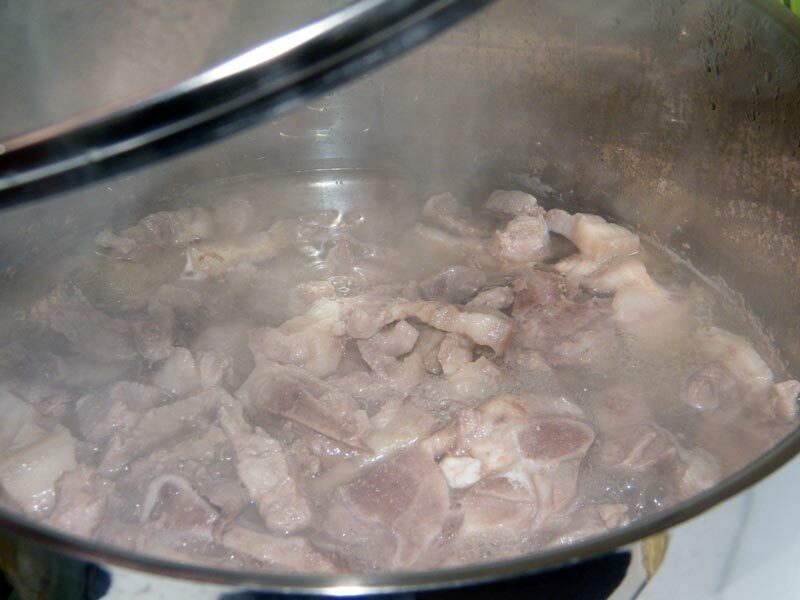 Place the pork pieces in a heavy-bottomed pot or a wok and add water to submerge plus 1 cup extra. Bring to a boil, removing any impurities that rise to the top. Let it boil for around 15 minutes then set aside pork and water. 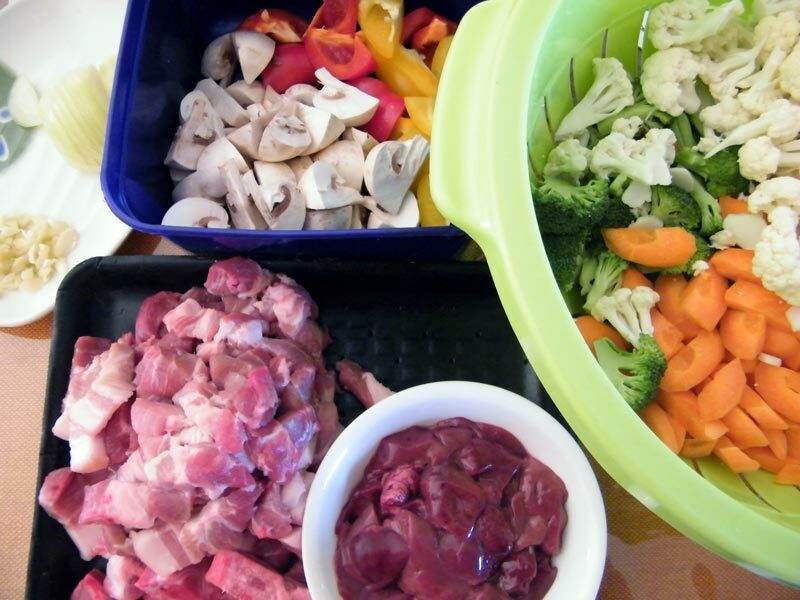 Saute onion and garlic, then bring back the pork pieces to stir-fry. when lightly browned, add the chicken livers, pork cube (optional), oyster sauce, and 1 cup of the pork-flavoured water. 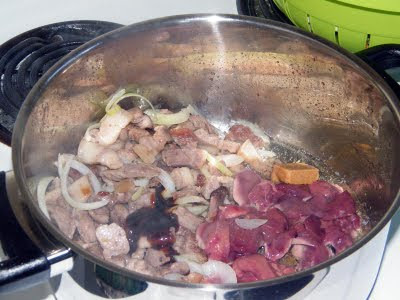 Mix and simmer for about 4 minutes or until liver pieces are cooked. 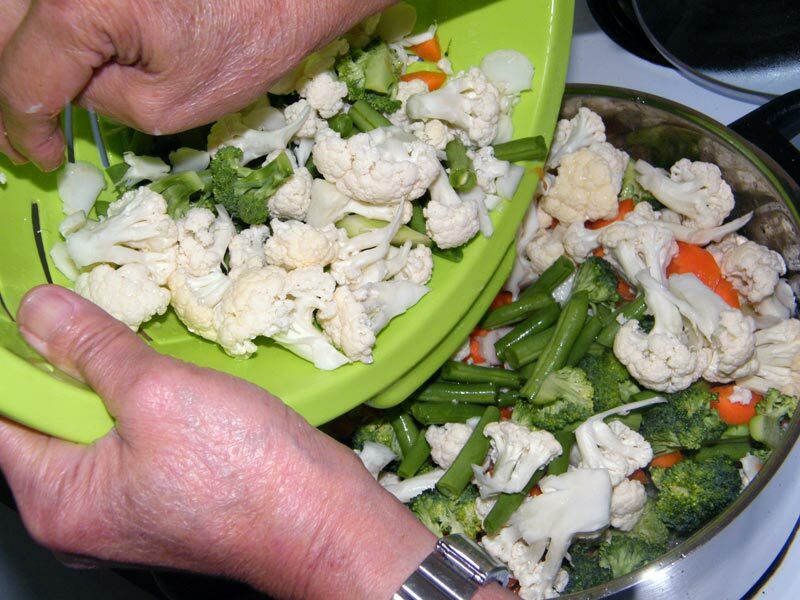 Time to add the veggies. Add the mushrooms first as they need to cook, followed by the baby corn (if you have those, allow for a couple of minutes), and the rest of the veggies can follow (the cabbage can follow last, about 2 minutes prior to the end of the simmering time). Cover and let simmer for about 5 minutes. 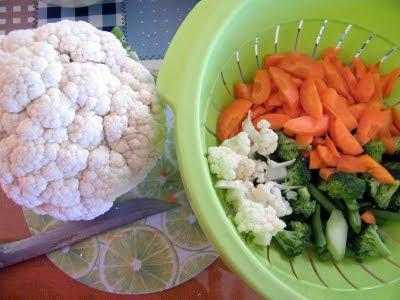 Check the water level; the veggies will add to the water content of the dish. It should not be too much, nor too little. Just enough to get some sauce going. Mix your cornstarch with some water (this is your chance to add more water or less water to the dish) pour and mix. This should thicken the sauce. Season with fish sauce and pepper. Serve hot.